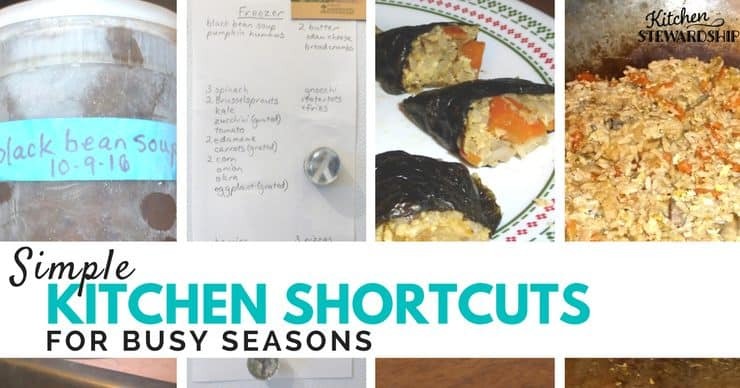 For my latest article at Kitchen Stewardship, Kitchen Shortcuts for Busy Times, I needed photographs of at least one of the shortcuts, and the one I chose was cooking rice at the beginning of the week to use in three different meals. Naturally, I found myself doing this at a busy time…which got busier…so that I ended up making the three rice-based meals on the last three days before the deadline and having very little time to take photos because everyone was hungry. In fact, I forgot to take a photo of this dish until after we’d started eating! And this isn’t a very good photo. But this recipe, which we were trying for the first time, has such an interesting name and backstory that I decided to write about it over here rather than clutter the KS article–where it’s just the main dish that gets rice as its side dish. Okay, so what we have here are some baked turnips with cheese and seasoning. This is the tastiest way to prepare turnips that we’ve ever encountered, and it was easy and quick to put together, with a short baking time. I mean, it’s not as if we like turnips. I don’t think we’ve ever bought them on purpose. We just get them in our farm share and then have to figure out how to use them. Typically, we’ve either put them in Japanese Udon Noodle Soup or roasted them with olive oil and herbs, and either way they are good enough that we enjoy eating them in that meal. Then we’re done with turnips until the next ones show up. Well, this autumn we received large bags of turnips two weeks in a row. We made the Udon Soup, but that only used three large turnips. We’d recently roasted various other vegetables and were feeling a bit tired of roasted vegetables. Time for something new! Daniel suggested, “They had turnips in Europe in the Middle Ages. Let’s see what they did with them,” and pulled out two books of authentic medieval recipes. Both of them gave the same basic instructions, which sounded plausible, so we decided to try cooking turnips by this method whose “odd name might be a way of warding off attacks by hungry diners in Rome’s busy taverns, but it only made the poor turnips more vulnerable!” according to Gillian Riley in Renaissance Recipes. Peel all the turnips and slice about 1/3 inch thick. Steam turnips in a pot with just a little water, just until they begin to soften. Grease the casserole dish with butter. Put a layer of turnips on the bottom. Put thin slices of cheese (we used muenster) on top of turnips. Sprinkle with nutmeg and black pepper. Make another layer of turnips, then cheese, then spices. Continue until all turnips are in place. Bake uncovered at 350F until cheese is thoroughly melted–about 10-15 minutes. Serve with rice and perhaps a salad or fruit. We had clementines. We highly recommend this approach to turnips! They were sweet and tasty, complemented by the flavors of the cheese and spices. It was a gooey, satisfying, filling dish. Visit the Hearth & Soul Hop and Real Food Friday for more great food ideas! Don’t forget to check out my time-saving tips! I have to admit that i have never been a turnip lover but my husband likes them. I can eat them if there in a stew or soup. I will say that your recipe does sound quite tasty especially with the cheese in it and I know that turnips are filled with so much nutrition. Thanks for sharing on Real Food Fridays. Pinned & tweeted! What a delicious way to prepare turnips! I really enjoyed reading this post too – it was interesting to learn more about the history of turnips’ culinary uses. Thank you for being a part of Hearth and Soul, Becca. Hope to ‘see’ you again this week.